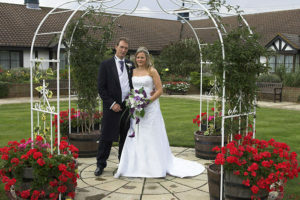 The Lakes hotel complex is situated and signposted at Wyboston, just off the A1 south of St Neots. 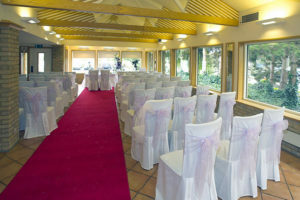 The complex is sprawling and huge and offers three distinctly separate wedding venues so you may find other weddings in the near vicinity if you go seeking out the lakes . Plenty of space indoors and out so little to find fault with other than it feels a little like a business park with so many buildings on the site ! Photography – everything is in place for a decent shoot with spacious interiors and neat exterior (Willow Centre). If you attempt to drive across the site to the lakes then you may bump into another wedding so be warned !